The Dream Girl (DG) Hair is an award- winning hair extension brand offering more than a look, DG offers a lifestyle. 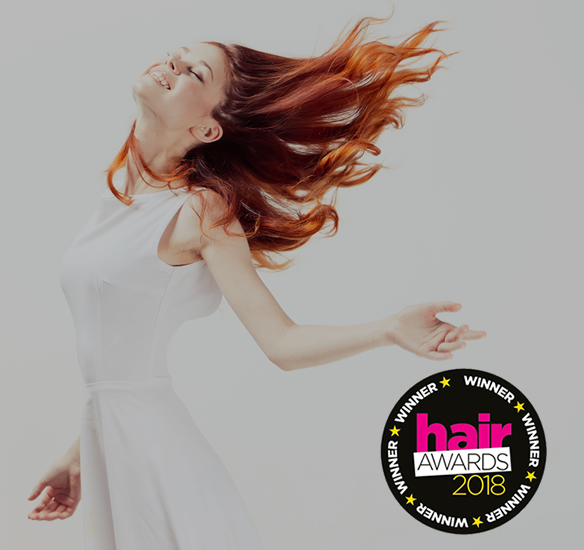 Dream Girl exists to bring you a wide range of 100% human hair and high heat hair extensions, in over 80 colours and a great selection of fashion forward styles so that you have the freedom and choice to choose your own look! Tailored to the sophisticated woman of today, Dream Girl offers a vast range real human hair extensions, in a number of colours and a great selection of fashion forward styles. Comprised of numerous wefts and textures, Dream Girl has been designed to provide instant length, shape and volume, ensuring an ultimately natural look with a touch of glamour! Made from 100% premium quality human hair, Dream Girl extensions can guarantee longevity for multiple wears, blending seamlessly with your natural hair. With an extensive range of colours, Dream Girl can also adapt and match to various shades and tones. Boasting high quality, with a lasting luxurious look and feel, the brand rivals its competitors by offering a luxury beauty product at an affordable price. Dream Girl hair not only transforms your look in an instance, but the Dream Girl brand is committed to giving women the confidence to express themselves on a day to basis.